The story highlights the upheaval caused in the life of an FBI profiler when a criminal who has been at large for a long time turns himself in and insists on speaking only to her. Where can you stream The Blacklist? On 2013-09-23 Drama/Crime TV Series The Blacklist first aired on NBC. 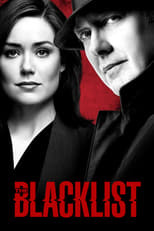 Written and created by Jon Bokenkamp, The Blacklist will return and was last broadcasted on 2019-04-12.